Because this is a legendary band. So many morphs, & they remain Skynyrd! I've seen them 2-3 times in concert, in my Sweet Home Alabama. What better place to do so? I do so wish that soon they'll have more videos up; especially from the very start all thru to the present. Love 'em! Always will! 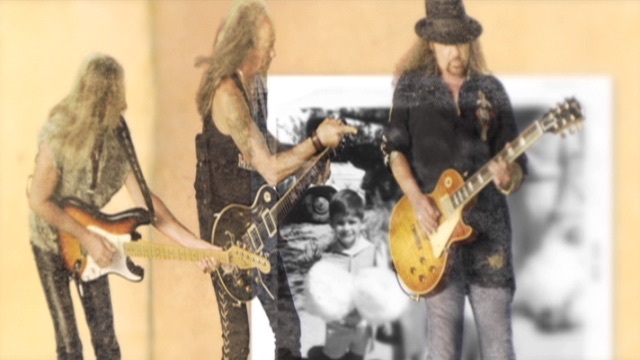 It's great to see Lynyrd Skynyrd back and rockin again. I guess i might be a little bias when it comes to southern rock since i was raised in the south. Seriously though anybody that loves music has to love the style that is LS. As soon as the song starts you know right off the bat that it is LS There is no mistaking it. I loved this video and the song and for that matter the album. It's classic Lynyrd Skynyrd. GREAT to hear them recording and touring again. Me and my wife have seen them NINE times and they are better with each concert. If you ever get the chance to see them LIVE don't pass it up. They are a legendary band with alot of history truly one of the great bands of all time they are, LYNYRD SKYNYRD.